› Where: University of Tennessee at Chattanooga University Center, 652 E. Fifth St. Homeowners and landscapers can learn how to use native plants to their advantage and become a partner with nature when the Tennessee Valley chapter of Wild Ones hosts its eighth annual symposium, "Plant Natives 2019! Partnering With Nature," on Saturday, March 16, in the University of Tennessee Chattanooga's University Center. The event includes sessions led by renowned gardening authorities as well as a Native Plant Marketplace and Expo. Registration begins at 8 a.m. Saturday for the symposium; there is a $75 fee, walk-ups will be accepted. Symposium hours are 9 a.m.-4:30 p.m. The marketplace is free and open to the public from 8 a.m. to 4:30 p.m. The marketplace and expo offer native plants for sale from area nurseries, artwork and opportunities to speak with representatives from local environmental nonprofits. "Plant Natives 2019: Partnering With Nature" looks at conventional gardening's counterproductive practices such as tilling, weeding, irrigating and fertilizing, which cause perpetual disturbances that create an invitation to invasive species. 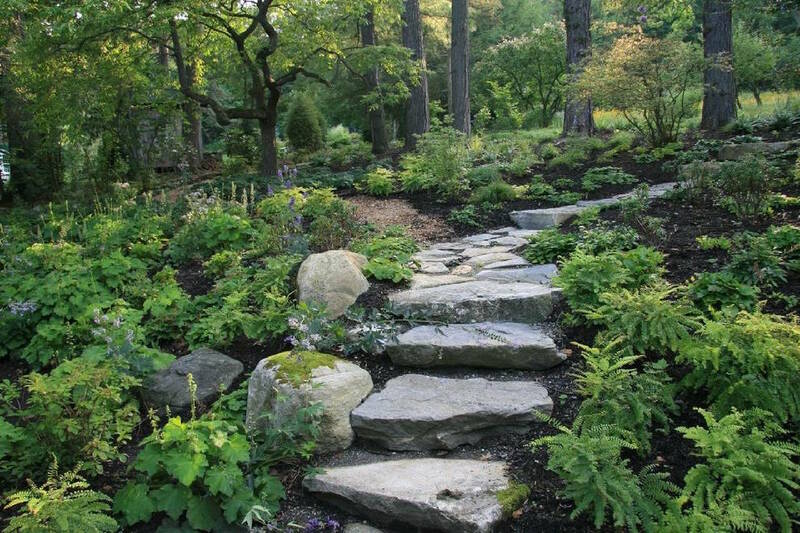 Instead of fighting nature, guests will learn how to have a healthier, more dynamic landscape. The keynote speaker is Larry Weaner, founder of Weaner Landscape Associates of Philadelphia, Pennsylvania, an award-winning landscape designer and author of "Garden Revolution." In "At Home With Native Plants," he will discuss gardening with native plants to achieve landscapes that are diverse, beautiful and low-maintenance. His presentation will explore the ecological processes that occur in native woodlands, shrub lands and meadows, then illustrate their direct application in a variety of residential landscapes. His second topic will be "The Self-Perpetuating Landscape: Setting a Process in Motion." How can homeowners capitalize on plants' reproductive abilities and actively encourage existing and new species to colonize their landscapes? This lecture will include detailed case studies that demonstrate practical strategies that can be applied anywhere from the most intimate garden to large multi-acre landscapes. » After lunch, Dwayne Estes, executive director at Southeastern Grasslands Initiative, will present "The Southeastern Grasslands Initiative: Bringing Chicago-Style, Community-Based Conservation to the South to Restore our Forgotten Grasslands." Grassland loss is the single greatest conservation issue currently facing eastern North American biodiversity, according to Estes. He will show participants how they can bring back grasslands to their landscapes, and include suggestions for native grasses, sedges and rushes for this region. » Dr. Jennifer M. Cruse-Sanders, director of the State Botanical Garden of Georgia, brings the presentations to a close with "The Role of Botanical Gardens and Partnership in Conserving Biodiversity in the Southeastern U.S."
Cruse-Sanders will describe her actions to regain habitat lost to development in urban and suburban corridors. For more info or to register, go to www.tnvalleywildones.org/plantnatives-2019.